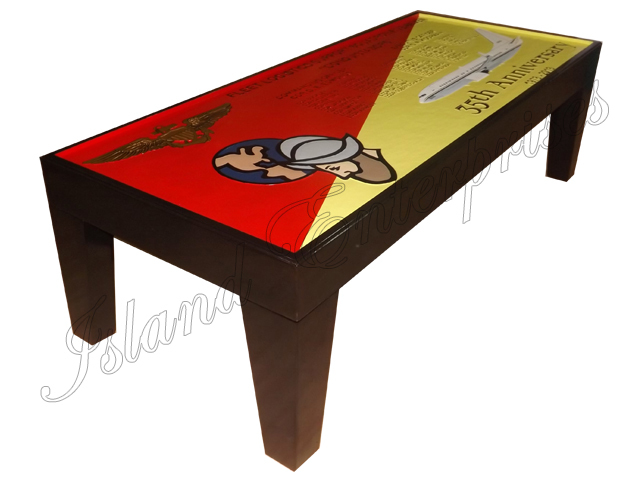 We produce, to individual specification, hand crafted wooden tables using a 2" inch thick, hard and solid mahogany wood that is kiln dried to prevent from warping. We can do any design you want and any size you want. And remember, we offer a 100% money back guarantee if you are not totally satisfied you’ve bought the best product available on the market!!! Contact Us for price quote.